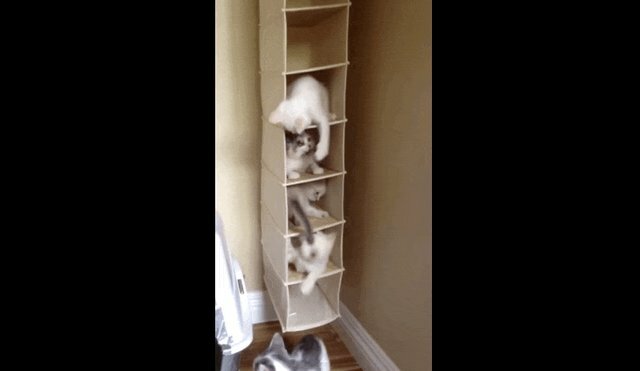 When you're an fluffy little kitten living with four of your kitten friends, everywhere is a playground and playtime is anytime. 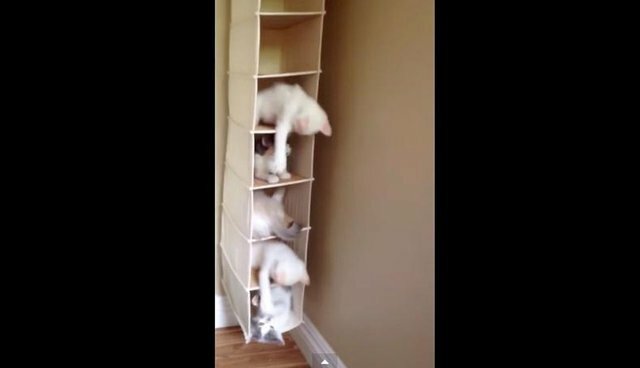 YouTube user Aleya Cunningham caught this cute-tastic video of five little kittens occupying her hanging shoe rack. "Hello down there neighbors!! It's me, KITTEN!!" 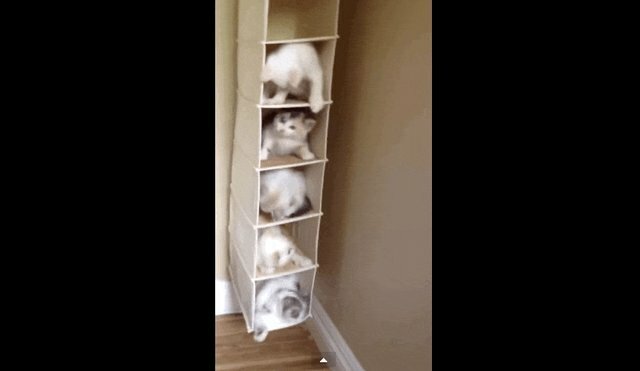 This is proof that kittens will always find themselves the perfect kitten-sized compartment ... and then take over!